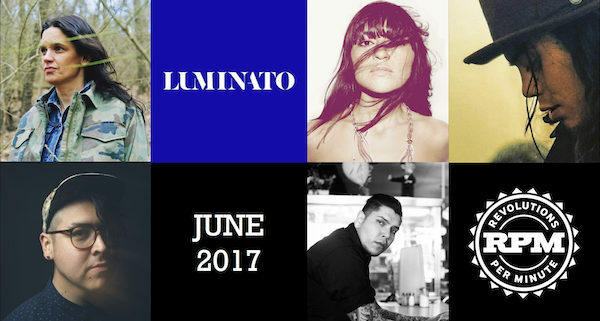 RPM is proud to partner with this year’s Luminato to deliver outstanding, cross-genre Indigenous music. Not only will the festival open with a large-scale event celebrating Indigenous relationships to land, water, and place—and the resilience and strength of Indigenous women—the festival will also showcase Indigenous music and artistry throughout its 2017 program. On June 14th, Luminato opens with Tributaries—a multi-disciplinary musical and collaborative performance features interactive and engaged performances by 60 artists moving through a four-part program organized thematically around ideas of Roots, Resurgence, Reclamation, and Emancipation. Led by creative producers by Denise Bolduc and Erika Isherhoff of Native Women in the Arts, with Cree/Metis cellist Cris Derksen providing musical direction for “Red Tidal Resurgence”, Tributaries features a multidisciplinary mix of music and dance, featuring an incredible list of Indigenous artists including: Northern Cree, Iskwé, Jennifer Kreisberg, Cheri Maracle, Leanne Betasamosake Simpson, Tanya Taqaq, and a nine-member choir led by tenor, Jeremy Dutcher. The evening continues with music from Mixteca singer Lila Downs and concludes with a call and response set from A Tribe Called Red’s Bear Witness and Afro-Colombian musician Lido Pimienta. Full details of this unique show can be found here: Tributaries: Luminato Opening Event. Following the opening night, RPM partners with Luminato to present and support a number of curated Indigenous performances. We’re excited to showcase the next wave in Indigenous music over the course of several evening shows and daytime festival performances throughout the festival, including performances by Leanne Betasamosake Simpson, Elisapie, Wolf Saga, Logan Staats, Nick Sherman, and Jeremy Dutcher. Mohawk singer-songwriter Logan Staats is set to release his latest album and will be bringing Toronto a preview of the new record as part of a special FREE lunchhour concert performance at David Pecaut Square. More info here. Toronto-based composer and vocal artist, Wolastoq singer Jeremy Dutcher is an artist to watch. Combining archival recordings, operatic training, and an incredible voice, Jeremy will perform a solo set inside Luminato’s Spiegeltent. Tickets and info here. RPM artist, musician, and storyteller Leanne Betasamosake Simpson will bring her unique Anishinaabeg story-songs to the Luminato Spiegeltent in a live performance with her band, including Cris Derksen and Ansley Simpson. Tickets and info here. Toronto-based electro/synth pop magic maker Wolf Saga makes his Luminato debut on National Aboriginal Day with a special performance at the Spiegeltent. Tickets and info here. Anishinaabe singer-songwriter Nick Sherman will bring his heartfelt and beautiful music to the lunchhour concert series at David Pecaut Square. FREE! More info here. Incredible Inuk singer Elisapie returns to Toronto, following her sold out RPM Live show last fall, to debut music from her new album at an intimate performance inside Luminato’s Spiegeltent. Tickets and info here.